Catalina Maria Johnson » APAP 2018 Recap! 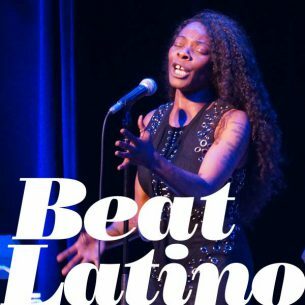 http://beatlatino.s3.amazonaws.com/APAP%202018%20Recap_Beat%20Latino%20with%20Catalina%20Maria%20Johnson.mp3 Download this Episode of Beat Latino (MP3) Beat Latino celebrates the wonderful week or so of musical activities at APAP 2018, the industry showcase for Arts Professionals, that took place in New York City last week. We were able to experience so much wonderful music live! From the afro-flamenco and reggae-tinged rhythms of Buika to snazzy, edgy, muscular jazz of Grammy nominee Antonio Sanchez at Winter Jazzfest to the tropical psychedelic beats of Combo Chimbita at Secret Planet presented at Drom by Barbes and Electric Cowbell to the Guatemayan hip hop of Doctor Nativo at Mundial Montreal’s showcase to the flute-laced rhymes of La Dame Blanche at Globalfest to…. so much more! It’s a recap of the finest of the finest musical vanguardia to experienced at APAP 2018, including comments by APAP’s Executive Director Mario Garcia Durham. Enjoy! Featured photo: Buika at Winter Jazzfest, NYC 2018 by Catalina Maria Johnson.